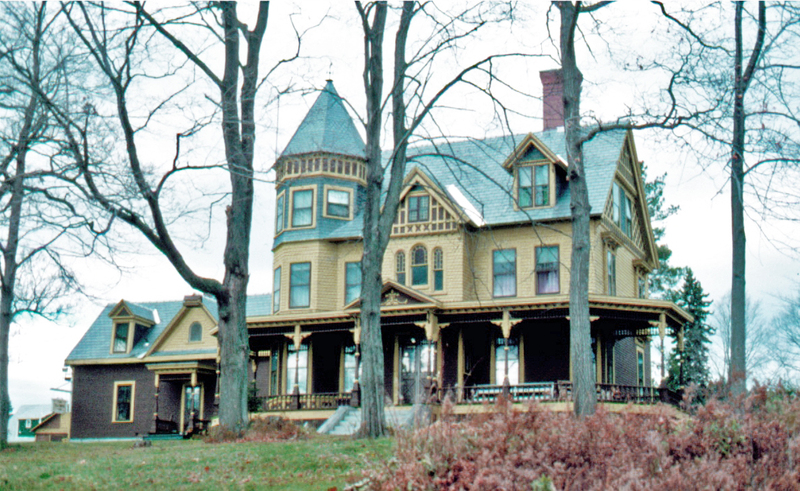 In 1830 David Robinson Straw commissioned architect John Monroe to build a home for his family. 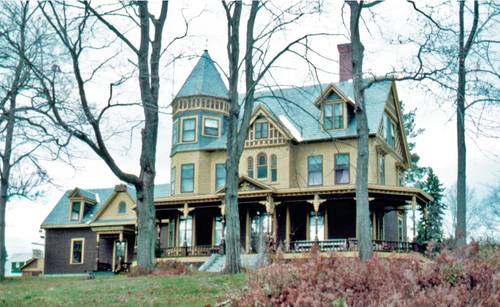 It is now a bed and breakfast called Trebor Mansion Inn. There is some controversy about whether or not the current structure is the one that David Robinson Straw Senior built. It is known that David Robinson Straw Junior decided in 1894 to have a building erected on the site that incorporated the original structure. 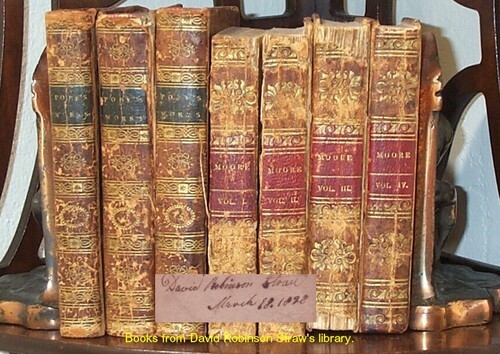 The books shown below came from David Robinson Straw Senior's library. Note that his signature that was in one of the books is superimposed on the picture.